Occasionally, when you are least expecting it, some of the best music unfolds right before you. That is exactly what happened with The Far Meadow’s Given the Impossible. I was reveling in the renewal of The Mission’s career and their latest album, as well as finally discovering Edensong, and I wanted to keep the momentum going so asked the TPA editorial team to send me some new music to review. What Bob Mulvey suggested knocked me out of my chair. The first notes of opening track Prove it Then took me right back to Steve Hackett’s Narnia, before I was knocked over by the beautiful voice of Marguerita Alexandrou. Yes, not since I had first encountered Kim Seviour’s voice on Touchstone’s Wintercoast have I heard such a beautiful and unique sounding vocal. This band is full of musical talent, and I will get to that later, but it is Alexandrou’s voice that will stay with you beyond your first listen, especially on the final track, The Seamless Shirt. But more on that later. 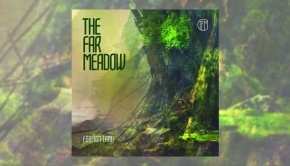 Alongside Alexandrou, The Far Meadow is made up of keyboardist Eliot Minn and guitarist Denis Warren with Keith Buckman on bass and drummer Paul Bringloe. Released on Bad Elephant Music, Given the Impossible is reminiscent of prog’s glorious past, via keyboard–oriented cues, but at the same time it takes you forward into its future with lyrics which reflect current political, social and economic events. The opening two tracks set the table nicely to welcome you into this excellent second album from the band. Industry opens with powerful lyrics about the sad state of affairs for modern capitalist economies. With similar news headlines dominating both Europe and North America, these lyrics are both poignant and relevant, and well sung with excellent supporting musicianship. The guitar solo in the middle is a real standout, and the keyboards are perfect. A Gentle Warrior and Dinosaurs are perfect opportunities for Alexandrou’s lead vocals to stretch out and cover the layers of beautifully intricate guitar and progressive keyboards. The drums and bass keep perfect time and help round out the sound with solid support. When Alexandrou sings, “And she loves her country” on A Gentle Warrior, you can feel the sad but patriotic emotion in her voice, the theme of the song reminding me of the 2014 film, The Imitation Game. Likewise, “Finding no one on the Internet” is another great vocal refrain from Dinosaurs, two songs that truly capture the stoicism of many people wary of an impending right-wing and nationalistic political wave that seems to be building throughout the Western world. Himalaya Flashmob is another excellent showcase for Alexandrou’s vocals and the progressive wonders that this band can spin, original compositions full of images that take you back to IQ and other great English bands of the past. The piano, guitar solos, themes and feel of Letterboxing bring back memories of how fun the progressive music of Keith Emerson, and other maestros who we have recently lost, used to sound and it may be my favorite song on the album, besides the iconic finale The Seamless Shirt which includes lyrics from the traditional ballad Scarborough Faire, made famous by Simon and Garfunkel, to highlight the power of Alexandrou’s vocals and leave you with no doubt that she can execute a lyric like few in the current progressive music scene. When she sings “Are you going to Scarborough Faire?” you can almost hear Paul and Art cry… it is so clear and so good. But the music that follows will make the progressive rocker in you feel great that there are still bands that can make music of this quality. The best song on the album. 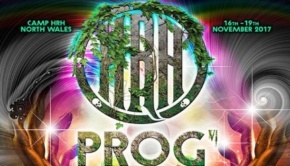 You will remember this band long after this dynamic album of memories and energetic visions of the future. I read that they are already at work on the follow-up album, and that is wonderful to know and day dream about in this new year. Now, to go and order the CD copy via my local store. Please do not pass this album up. Despite a difficult, for the music industry, year in 2016, this album is an absolute standout that I hope you do not miss…as I almost did. It is without reservation, that I can recommend this album as one of the best of 2016. 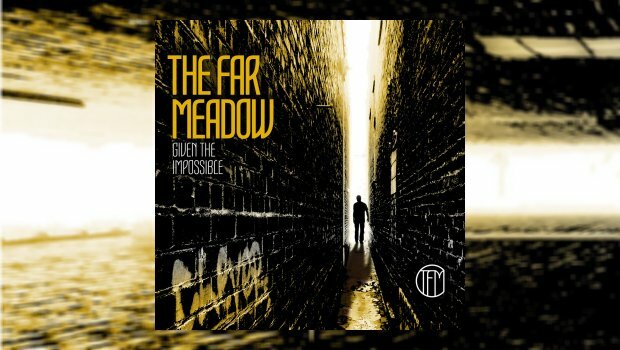 Thanks, Bob…and The Far Meadow!